As readers of this blog will know, I’m always on the lookout for a new book that will find its place onto my current “must read” list. 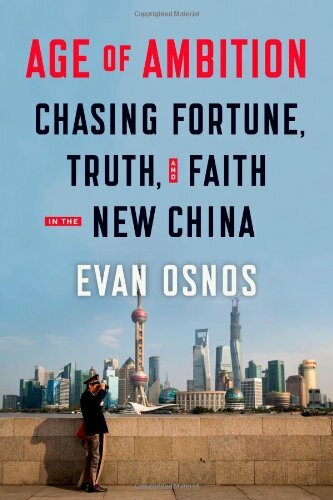 And while I have yet to actually read Evan Osnos’ new book “Age of Ambition: Chasing Fortune, Truth, and Faith in the New China” (it was released just yesterday and my copy is on its way) I’m reasonably sure it will make the list. I say that because I have followed the work of Osnos for years, and consider him to be one of the more astute observers of contemporary China. Combine that with great writing, and you’ve got a winning combination. 3. Christianity: China’s largest N.G.O.